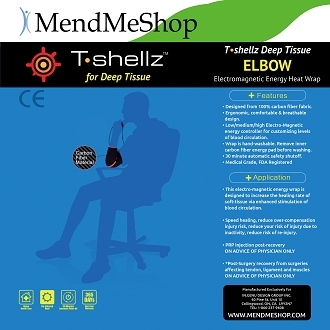 "The T-shellz elbow wrap has really helped my elbow pain. The neoprene cover is very comfortable, and the overall design is well thought-out. I like the fact that the heat control is easily adjustable, so that I can adapt it when I am wearing a long-sleeve shirt or when the wrap is on my bare skin. The long electrical cord is very helpful, so that I can wear the sleeve, but have some leeway to move around, and not be too tightly tethered to the electrical outlet. 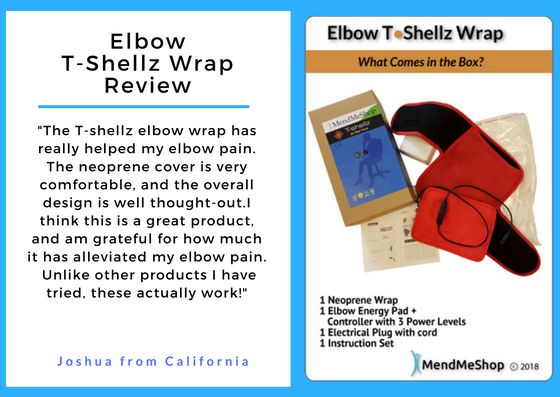 I think this is a great product, and am grateful for how much it has alleviated my elbow pain. I definitely recommend this and other MendMeShop wraps. Unlike other products I have tried, these actually work!"